Learning how to make a quilt is quite easy simply by using an Easy Pattern that repeats the same block over and over again. You will learn a lot along the way. When mastering the art of making a quilt it is definitely a truism that you will get the best results by using the right tools. ...You will find that there are several ways in which to Learn To Quilt. 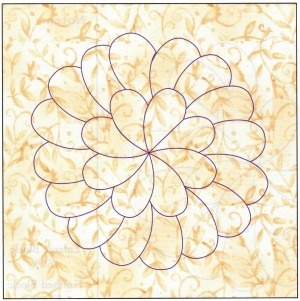 Before you begin to design a block for your quilt, you will need to select your pattern. Often visuals can reinforce words especially if you are a beginner, so get a pattern that is for beginners. We'll work with one of our Free Quilt Patterns called Stairway To The Stars. 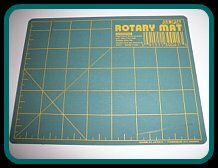 You'll also need to have several quilting tools on hand such as a rotary cutter, cutting mat, and a variety of rulers. 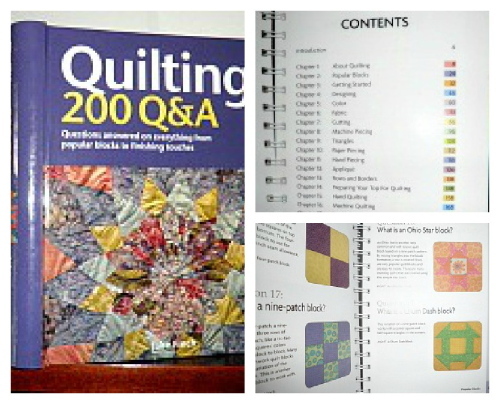 I recommend that you get Quilting 200 Q&A . You will find answers to nearly 200 questions! Visit excellent web pages such as this one. Join with a friend and make quilting a fun and sharing adventure. Organize your space and make it special just for you. Pick a simple and easy pattern much like our project called Stairway To The Stars. Learning how to make a quilt is fun when you use a guide to step you through the process. I picked an easy quilt pattern to share with you for this learning experience or you can use one of your choice. 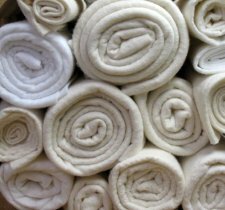 A few fat quarters will get you started on a practice block. Your first quilt should not be rushed. It can be time-consuming but it will not be difficult, provided you choose an easy quilt pattern. Save all your projects...it is a way of measuring how your skill level grows. Let's use our Free Quilt Pattern called Stairway To The Stars! Give some thought as to how the quilt is to be used. Is it to be a wall hanging or a table runner or even a pillow for the bed? Where will the quilt be placed? Will it be big enough for a bed or large enough to be hung in a foyer to welcome your guests? And last, who will the quilt ultimately be for? Will it be for a baby's crib or a granddaughter going off to school? If the quilt is to be used by an infant then choose quilt baby blues, pinks, or yellows. If it is to welcome guests then make it warm and friendly colors. 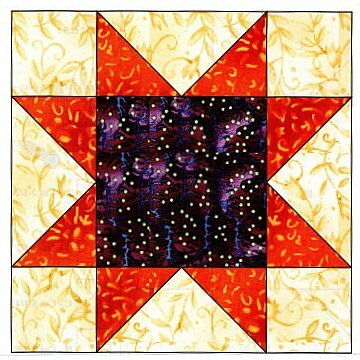 The style of a quilt should be a straight forward patchwork design that has good visuals and easy to follow written directions on how to make a quilt. Choosing an applique or complicated multilevel design should wait until you have a few quilts under your belt. Both are easier than you think but start out at a beginner quilting level for your first quilt, as there will be sewing techniques you will have to master. If this is your very first quilt or you are simply stuck for inspiration, stop at most quilting stores and take a look at an easy quilt kit where all the decisions have been made for you to simplify the color choices and complexity. Skills like being able to sew an accurate quarter inch seam is important. You will soon realize that the power of a quarter-inch plate and foot are essential quilting tools. 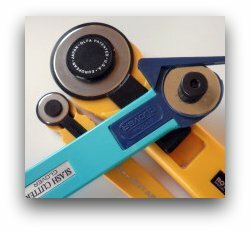 Without them it is difficult to master accurate quarter inch seams. Mastering the cutting tools is another important skill. 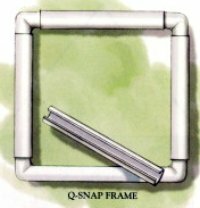 This technique produces accurate and straight cuts along with speed when it comes to cutting all those little quilt pieces. If you lack confidence with using your sewing machine practice using your machine to make a few sample quilt sandwiches found on our quilting tips page. How to make a quilt requires a clear understanding of how the grain of the fabric affects the way you cut your pieces for all quilts. When making a quilt the rotary cutter, cutting mat, and ruler are three very important quilting tools. Buy the best cutting tools that you can afford. You will also need the necessary scissors, thread snips and a seam ripper. Pins are for holding your quilt pieces together when sewing, basting, pressing or tacking. Have plenty of pins and several pincushions or magnetic pin holders at various sewing stations. I like them because they never spill when dropped! Trying to find your supply of pins or walking from one station to another in your sewing room to retrieve your pincushion can be very tiring. An accurate 6-inch ruler for measuring is by my side at all times. Do quick checks to make sure you are always on target with the quarter-inch seam allowance. A fine point permanent marking pen and a fine point #2 pencil is also handy to have. The permanent marker will be used on the pattern and the pencil will be used on the fabrics. Pencils leave a faint mark that will fade later. Chalk is also a good alternative for marking fabric as it washes out easily. 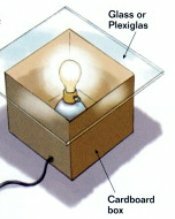 Because it tends to blur, chalk is not good for marking detailed drawings. Machine quilting needles designed solely for quilting is a must. Quilting Threads and quilting needles are interwoven. Needles use a point code and a size code. The numbers on a spool of thread indicate the thickness and the number of plies but the thread must match the needle or vice-verse! You will also need an iron and a portable or full size ironing board handy as every seam must be pressed after joining each piece of the quilt. ...Just like they do on a cool summer's night. You will create a minimum of eight stars and cut a minimum of eight plain squares of fabric. 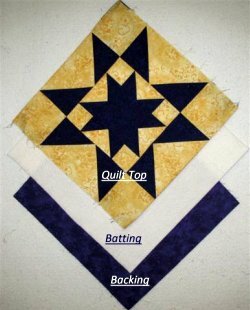 In our Free Quilt Pattern called Stairway To The Stars we include a free template for making the quilting stitches. If you're ready, I'm ready! 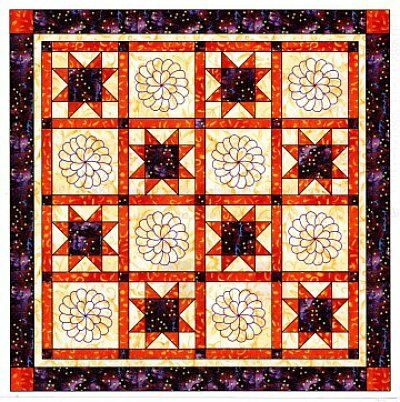 Let's use our Free Quilt Pattern called Stairway To The Stars! Let us know how your project turned out. Send us a picture to display on the quilt gallery and we will share your final results with friends and neighbors.